Spa Sessions – Roots to Sky with Matt Walton | Aim Higher. Live Inspired. Increasingly popular in the mainstream media, cupping acts as a soothing ‘reverse-massage’. Warmly lifting the skin from the fascia to break apart underlying aches, and gliding techniques to deepen your experience. Therapeutic scraping of the skin, muscle & fascia to soften stagnations and relax tension. In these Spa Sessions the after-effects on the skin are kept to a minimum – the goal is relaxation not excessive invigoration. In China, the word “acupuncture” does not refer to needles alone, but also to the less-common (in North America) but equally powerful technique of “moxa”. Mugwort herb is burned in various ways on or near the acupuncture points & channels to warm the points and channels to melt away your troubles. Using even finer needles than standard sessions, a minimal amount of the most calming acupuncture points are selected to maximize your bliss state. I am a certified 4th Level Gokuikaiden Gendai Reiki Master, practicing since 2005. I received weekly training in the Gendai Reiki system & Daoist energetics from 2005-6, and have since attuned & trained dozens of students. I have also received intensive training by the incredible Kenneth Cohen, author of ‘The Way of Qi Gong’ and North America’s leading Qi Gong practitioner and researcher and am now earning a Medical Qigong practitioner’s diploma from the Institute of Traditional Medicine. 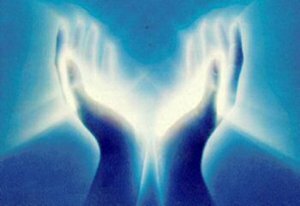 My years of personal experience with various energy systems, my passion for the accurate history and traditions of Reiki, and my in-depth skill with the acupuncture channels make me a trusted and experienced intuitive energetic anatomy healer, with many remarkable experiences to share.